Here I am ready for Halloween as Captain America! A full-face mask painted to match the comic book image, over a full-head hood, the Graphitti Cap shirt, custom gloves and boots and shield(made from an old-fashioned snow-sled! 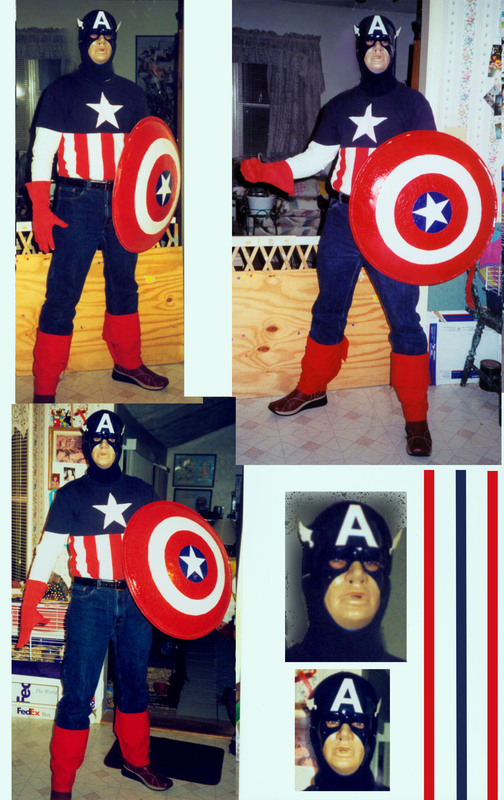 ), and the Star-Spangled Avenger is ready to go(out for candy and apples, that is)!